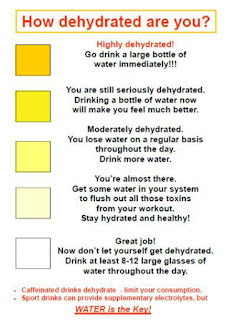 Research indicates that mild dehydration can negatively affect your mood and ability to think. 7. Gives you Sparkly eyes! 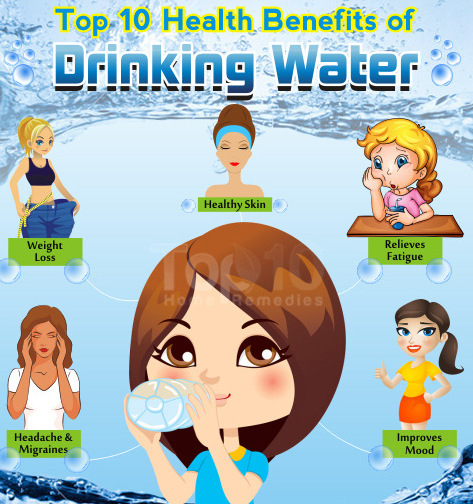 Water keeps the body well hydrated which promotes healthier and younger-looking skin. Water helps replenish skin tissues, moisturizes skin and increases the elasticity in your skin. If we do not stay hydrated, physical performance can suffer. This can lead to altered body temperature control, reduced motivation, increased fatigue and make exercise feel much more difficult, both physically and mentally. So, if you exercise intensely and tend to sweat, then staying hydrated can help you perform at your absolute best. Studies show that even mild dehydration can impair many aspects of brain function. 1. Drink a glass of water immediately you wake up. 3. Replace Coke and alcoholic beverages with water. 4. Drink cold water to speed up your metabolism. 5. Reduce your salt intake in order to lose water weight quickly. 6. 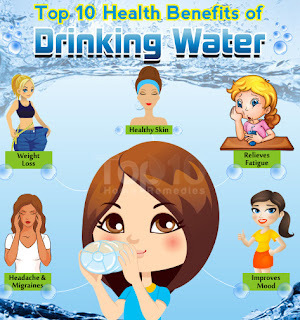 Drink at least 2-4 litres of water everyday. 7. Get in the habit of keeping a water bottle on hand at all times. 8. And if the taste beings to bore, spice up the taste buds with a squeeze of citrus (lemon,oranges are my fav flavours) or a slice of cucumber or any fruit of your choice to the glass! 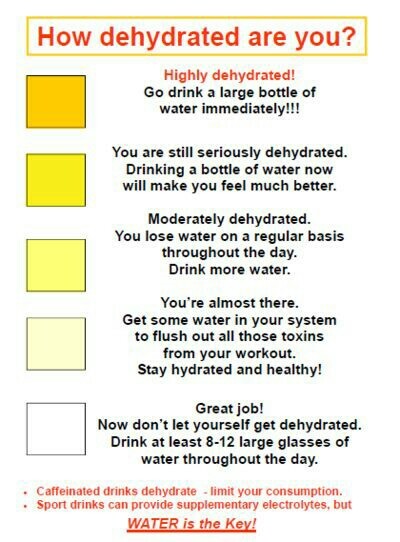 The color of your urine determines how dehydrated you are. (study the above image). I'm not saying you should gulp down a gallon of water at once. Have a small bottle of water with you and take a sip every now and then.